The Social Sciences Research Center (SSRC) is launching its Graduate Student Fellowship Program. Fellows will receive use of one of the Center’s carrels and $500 in research funds. Fellows must have achieved candidacy in one of the Division’s PhD programs. A total of eight fellowships will be awarded. In order to cultivate a scholarly community among our fellows, we will focus this year on graduate students using multiple methods in their research programs. In addition to describing how dedicated space and research funds will advance their research, interested applicants should describe how their research project will employ multiple methods. Opened in December 2017, the SSRC is designed to foster team-based and multi-method collaborative approaches to understanding complex social problems, thereby addressing the rapidly evolving and growing needs for research infrastructure across the social sciences. 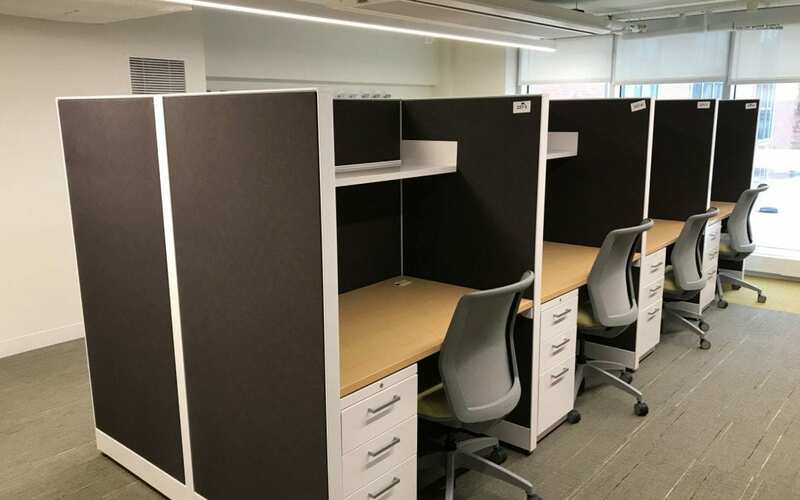 The space includes open-concept research bullpens, collaborative spaces, and a large workshop room that brings together faculty and students from across the division for research and programmatic activities. SSRC Graduate Fellows will be given $500 of research funding and will be assigned a carrel in the shared workspace. The inaugural fellowship term will be February 15, 2019 – June 30, 2020. University of Chicago PhD candidates from any department in the Division of the Social Sciences whose work employs multiple methods are encouraged to apply. Major research question : Describe the research question or topic to be investigated. Research approach and methodology: Describe how multiple methods will be employed. Anticipated results: Describe the potential impact of this project and measures for success. Fellows are expected to utilize their workspace in the SSRC regularly. Fellows agree to submit a summary of their research findings at the end of the fellowship term. Fellows agree to present their research findings or works in progress at a fellowship workshop. No SSRC space may be occupied by an individual or program without prior approval by the Social Sciences Dean’s Office. Any space that becomes vacant may not be occupied by an individual or program without prior approval of the Dean’s Office. Space must be used for its intended purpose. The workshop room, conference room, and data room are for use by reservation only. All requests must be made to the SSRC. Occupants of the space are expected to be collegial and professional. Please apply online at the University of Chicago Funding Portal. University of Chicago users can log in directly with a CNetID or UCHADID. If you are a first time visitor to the portal and do not have a CNetID or UCHADID, you will need to sign up for an account. Once you have logged in, choose “View Funding” and search for “Social Sciences” to start your application. Once you have started an application, you will be able access it directly on your dashboard during future visits.